In other words, what is the best way to run on your forefoot? Above, shows the initial forefoot strike landing pattern in the elite distance runners who happen to be the very best in the world! Experts define a proper forefoot strike landing in forefoot running as involving ‘initial ground-contact is made towards the lateral border (outside edge) of the forefoot, just under the 5th toe.’ Landing under the smallest toe-first (5th toe) in forefoot running is the foot’s natural landing route that has a functional role to play in keeping bending strain low, distributing peak plantar pressures more safely and is structural conducive to easily endure heavy weight-bearing loads. 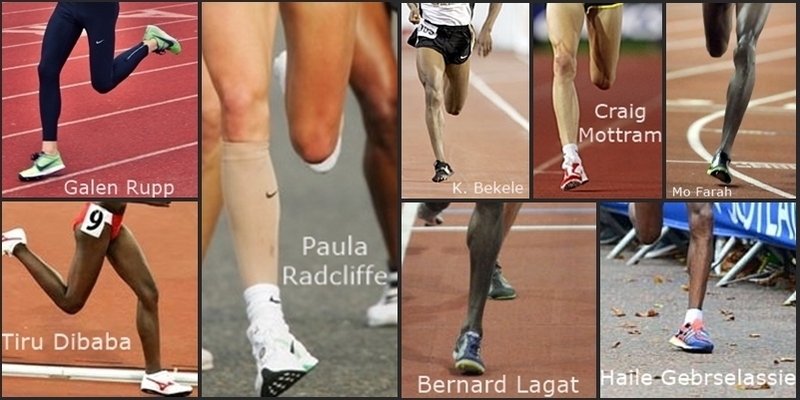 All of this is made possible mostly because the lateral side of the forefoot is made up of small bones and joints that bend and move fluidly with the ground as compared with the inner-side of the forefoot (under the big toe) which doesn’t articulate (ease of movement) in a smooth manner if initial ground-contact is made on it during running. Unfortunately, many newbie forefoot runners don’t know this and make the costly mechanical mistake of landing big-toe-first during running which is a big stressor on the foot as well as the ankle! 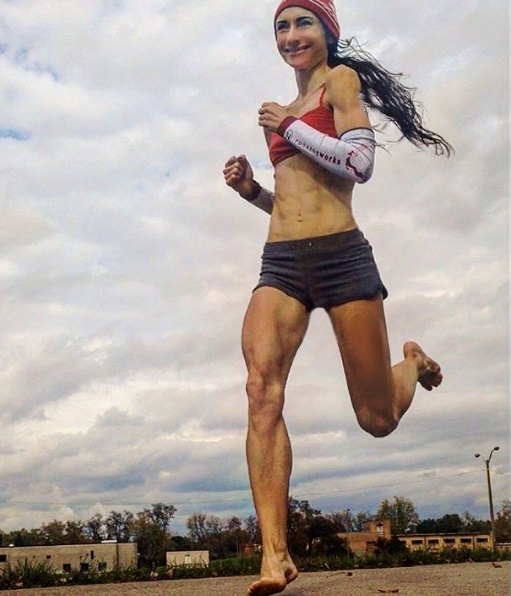 The majority of habitual barefoot runners also naturally land towards the most outer-side of the forefoot with the 5th toe being the first part of the forefoot to strike the ground. This concise and common movement path of the foot at touchdown seen in most habitual barefoot runners is further confirmation that a big part of a proper forefoot strike landing pattern in running includes initial ground-contact made under the 5th toe, NOT the big toe. The reason I’m strongly emphasizing this is because all too often I see many new forefoot runners land big-toe-first during running, instead of making initial ground-contact under the 5th toe, whereby there are very important and distinct differences in loading patterns and bending strain over the forefoot when striking big-toe-first vs striking littlest-toe-first during running, which again, has big implications to injury and performance. 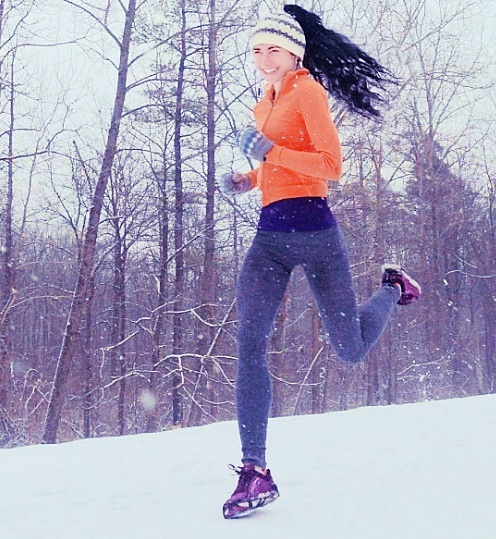 When I began learning forefoot running, I made the mistake of striking the ground big toe-first which made my forefoot strike feel rigid, ‘unspringy’ and overall, a lot of work! Not to mention, minor aches and pains were creeping up and lingering for too long. After digging into the research and observing how the pro’s use their forefoot strike when they ran, was strong confirmation that making initial ground-contact under the 5th toe is the better, safer, more functional landing strategy of the foot than striking big-toe-first in forefoot running. Let me discuss in more detail the advantages and overall mechanical relevance of making initial ground-contact under the 5th toe in forefoot running and why making initial ground-contact under the 1st toe is an open slot for injuries to take hold. 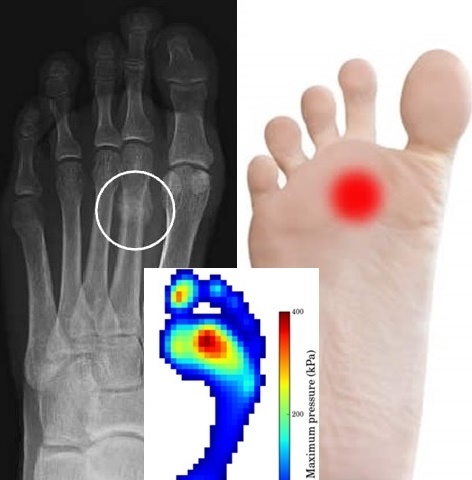 The metatarsal geometry under the toes greatly influences forefoot malleability, flexion and expansion during the touchdown phase of running, and as I stated earlier, malleability under the big toe vs under the little toe differs substantially and this difference greatly influences the foot’s capacity to manage bending strain, plantar (foot) loading and even ankle stability during running. Landing big-toe-first during running is problematic because the bone under the big toe (known as the 1st metatarsal head) is one continuous long bone surrounded by rigid muscles and tissues, making the area very inflexible, poorly articulated (poor ease of movement), more resistant to bending and thus more resistant to taking form of the ground when initial ground-contact is made on or under the big toe in forefoot running. Out of this arises 2 well-known problems with striking big-toe-first while running. Firstly, the unlimber bony and muscular framework causes the big toe and its metatarsal head to roll very rigidly with ground and fails to fully shift bending strain over the rest of the forefoot, resulting in high volumes of plantar loads accumulating under the big toe which is a well-known risk factor for stress fracture of the 2nd metatarsal head (the long bone under the 2nd toe). Making initial ground-contact on the big toe in forefoot running significantly limits plantar pressure dispersion over the rest of the forefoot, causing a build up of bending strain under the big toe to spill over onto the area under the second toe (2nd metatarsal head). Eventually, the 2nd metatarsal head cracks under such pressure during running. In contrast, most experts agree that bending strain spreads best over the foot when initial ground-contact is made under the 5th toe during running, which also results in lower bending strains at the 2nd metatarsal head, greatly reducing the risk of fracture. 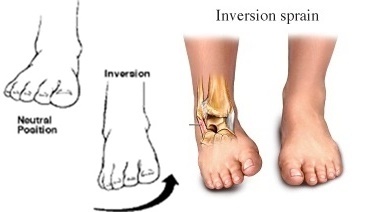 Secondly, greater impulse pressures at the big toe powerfully influences ankle stability during certain phases of running gait and may perpetuate mechanical entanglements at the ankle-joint that may lead to ankle spraining. Proof of this connection came from a 2005 study in the journal Gait and Posture which found a strong association between higher-than-normal impulse pressures just below the big toe (MTP-joint) with greater ankle movements during running and that increases in MTP-joint pressure and ankle-joint sprain injuries are linked together. The researchers discovered that increases in pressure impulses at the MTP-joint was associated with the most ankle inversion during the stance phase of running, which is a big risk factor for ankle injury. The best description of pronounced ankle inversion during the stance of running (shown above) is the ankle-joint tilts and juts outwards away from the midline, pushing the front of the foot sharply inwards towards the midline. Too much high levels of ankle inversion driven by increases in MPT-joint pressure ratchets up mechanical stress that fosters ankle spraining when running. From this, it’s easy to see why landing big-toe-first in forefoot running is a bad idea. Both sets of factors (fracture of the 2 metatarsal head and ankle sprains) make it clear that landing big-toe-first in forefoot running has little functional value and is an unsafe landing strategy that can have a negative impact on injury prevention, rather landing under the 5th toe-first in forefoot running gives you a forefoot strike that’s positioned with little pressure shock and secured with stronger ankle control. To make your forefoot strike more effective, always make initial ground-contact under the 5th toe! Here’s more on why that’s so….. The higher degree of bendability and flexibility under the 4th and 5th toes makes the area incredibly malleabile (rollable) and able to move smoothly over any surface with greater ease and allows increases in bending stain to easily shift over a larger surface area of the forefoot. 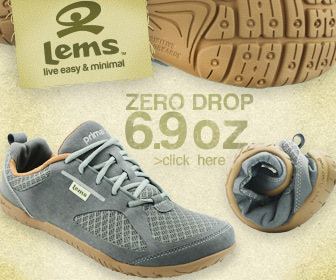 It also makes the area more accommodating to heavier plantar loads! The area under the 4th and 5th toes is comprised of the 4th and 5th metatarsal heads as well as small joints that are surrounded by softer, pliable muscles and tissues that articulate better with the ground, meaning the lateral edge (outer-side) of the forefoot can easily take the form of rolling with the ground and can bend around a tighter radius as compared with the area under the first two toes. This is how making initial ground-contact just beneath the 5th toe unplugs high plantar bending strain and peak pressures from escalating which also accompanies better ankle inversion control and stability, putting you towards a safer path of running more injury-free. 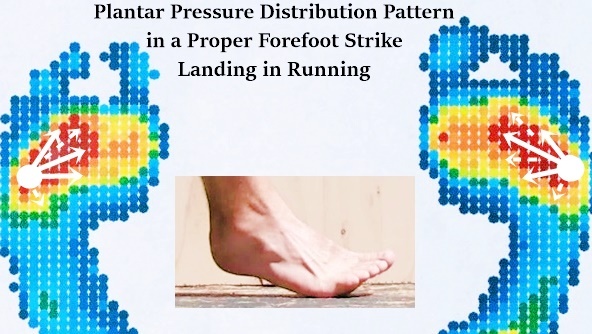 Landing towards the outer-side of the forefoot during running spreads plantar pressures over a larger surface area of the foot, thereby preventing dangerous rises in localized pressure on areas of the foot. This is made possible because the lateral edge (outside) of the forefoot is made up of small bones and joints that flexes and rolls smoothly with the ground which makes a critical contribution to even out impact over the foot. 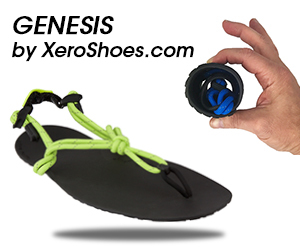 This is how the foot naturally manages plantar pressure impulses as well as bending strains in running. This is also the reason making initial ground-contact under the 5th and 4th toes in running is a functional imperative that keeps mechanical burdens on the foot/ankle complex to a bare-minimum. By now, I hope it’s obvious that it makes the most functional sense to make initial ground-contact under the 5th toe as compared with striking the ground big-toe-first during running. 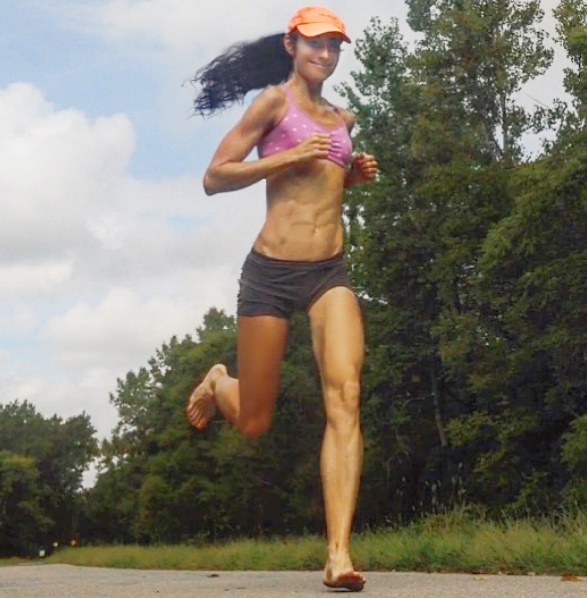 If you’ve had stalled progress with forefoot running, you may be landing big toe-first! Make the conscious effort of tilting your forefoot towards its outer-side, striking the ground just under the 5th toe. For a more visual explanation, here’s my video on what a proper forefoot strike should look like at touchdown, using examples of forefoot strike landing patters in well-known pro-runners. Last but not least, I find that running barefoot on pavement is incredibly helpful at getting your forefoot to land where it should. 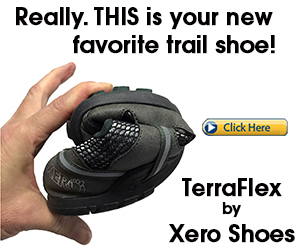 The tactile sensory input from a harder surface stimulates the bare underfoot and triggers a reflexive response that automatically guides the foot to strike the ground initially on the outer-side of the forefoot, which also naturally provides a nice smoothing of the road. Gross TS and Bunch RP. A mechanical model of metatarsal stress fracture during distance running. Am J Sports Med. 1989;17(5):669-74. Best info i ever found. Not many detail landing of foot out there. I personally think that the landing of outside ball also provide more/all part of foot micro movement of bones in the foot which absorb pressure during landing and the very first sensory from outside ball provide fast message and respond just before foot land fully on the ground.Futhermore the spring system of foot and knee is maximum when the kneecap is pointing at the 5th toes with slight bend of knee, this has yet to be eperiment and further explain.